Q1. What is your history in eve? Where have you lived? Q2. How did you come to find out and apply to us? Q3. Have all your characters always belonged to you? Do you have access to any other accounts (i.e. old un-subbed account, friend or relative’s account)? Please provide details. Q4. You fitted a ship and a corp member thinks you should fit it differently; what is your reaction? Q5. How many characters do you own? What are the names and skill point totals of those characters? How many of those characters are capital ship capable, and how many of those characters have a capital ship? Q6. Why do you want to join Zebra Corp, and why should we let you join Zebra Corp? Q7. Have you been in contact with any other Imperium corporation in the past month, or at any other time? Q8. Do you have friends that can act as references that are in the Imperium or a close ally of ours? Q9. How do you support (or plan to support) yourself in 0.0, and what is your current ISK situation? Please give as much detail as possible. Q10. 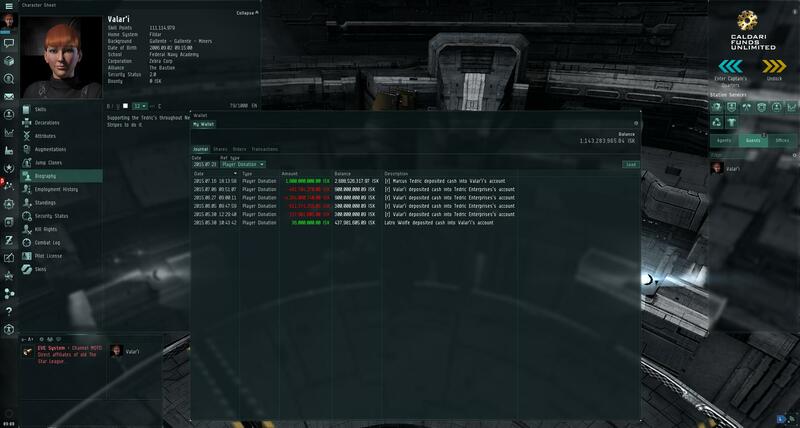 How do you feel about smack talking in local and on EVE-O Forums? Q11. Why do you PVP? Q12. A neutral has jumped into system where you are ratting. What do you do? Q13. What country and time zone are you in? What time zone do you play in? Q14. How young/old are you in real life? Q15. How often do you play? Please include averages for days per week, hours per weekday and hours per weekend. Q16. Are you prepared/able to be on voice comms at all times while playing? Q17. Please provide kill board links to stats pages of all characters you own, preferably from https://zkillboard.com/. Q18. Is there anything left uncovered by the previous questions that you feel may aid the success of your application? Please provide Full, All Character API keys for all accounts you own (including inactive accounts, and any that won’t be joining Zebra Corp). These keys should have no expiry date. * Click Submit, then provide us with the “Key ID” and “Verification Code” you have just generated. Screen shots should be un-cropped, so that we can see you whole EVE screen. Please provide a screen shot of the Wallet Journal for every one of your characters, filtered for Player Donations using the Ref. type drop down menu in the wallet screen. Please have the character screen open and visible. Copy the links to the box below so we can review them with your application. Q: I have completed the questionaire and submitted it, what happens next?A: Your application will be posted to our recruitment forum. This is open to zebra command staff to look at, comment on, question and generally to give opinions. Based upon the opinions of command staff you will be given a voice interview. In the mean time join or stay in zc pub ingame channel to have a chat or ask any questions there that you have.